White living room design can be one of the most comfortable places in the entire apartment, as bright colors create a sense of space and lightness in the interior. The many shades of white can create a practical way to decorate the living room for everyone. Floors better to be made of more practical material, for example, bright tiled. 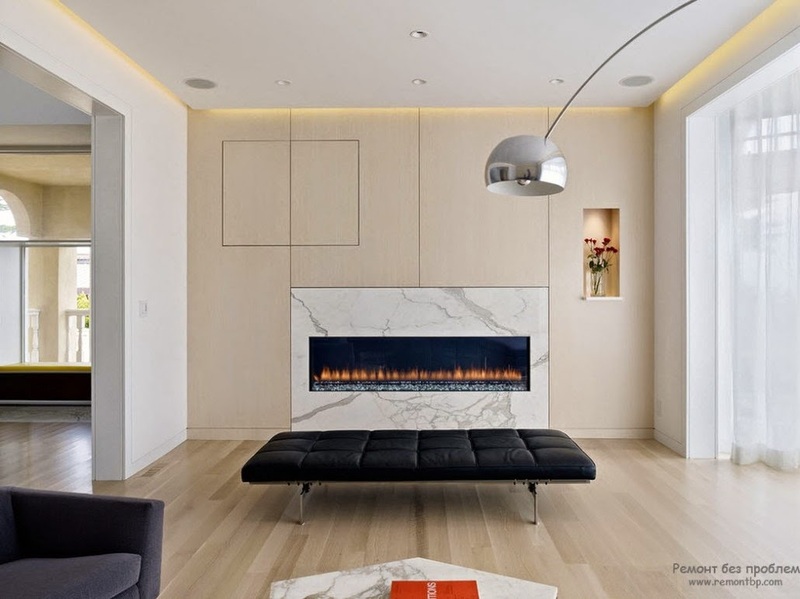 Ceilings can be suspended with integrated lighting - it will add space and spaciousness. 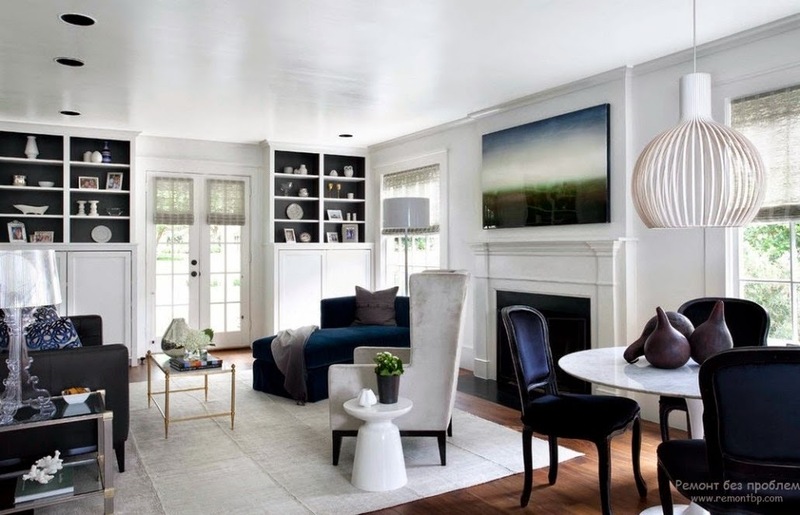 Also the white in living room design is very nice and gently when it is combined with different colors, and light it to stand out pieces of furniture. 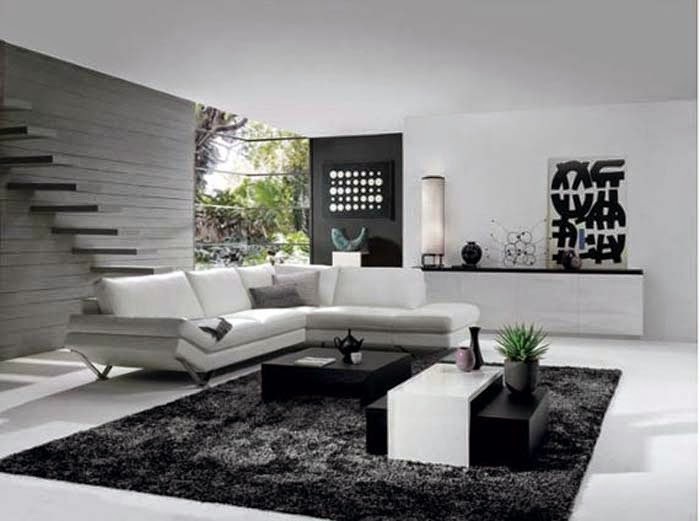 In the black and white living room designs we combines two opposite contrasting colors - light and shadow. This combination looks great on the walls and furniture. openwork patterns on the curtains look great. 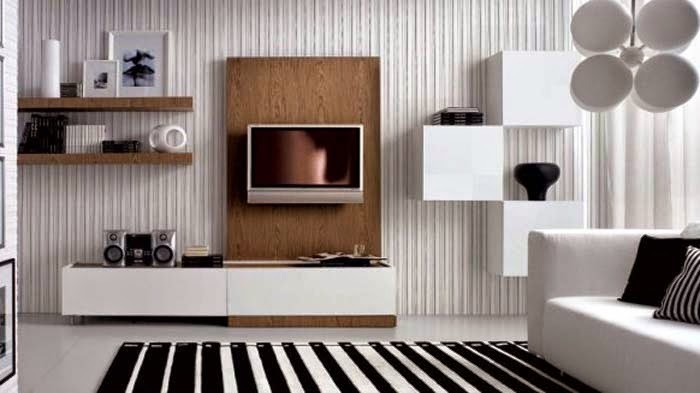 creating the magic of the addition of square elements on the walls of the white living room look very harmonious. 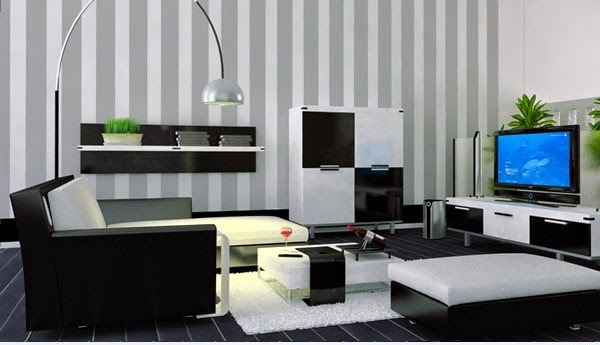 Today, black and white living room designs are very popular. Especially in the modern style . To create such an interior, there are many possibilities. You can add more white, or, conversely, black. In another case it is possible to include a third color and they dilute the black and white contrast. Black and white colors have a variety of colors, allowing you to create a softer and more diverse environment in which the interior will be more refined and sophisticated. For a better use more white of living room, as this allows color visually increase the room space. Black can be added in the form of patterns or stripes on the walls, to incorporate it into furniture components. 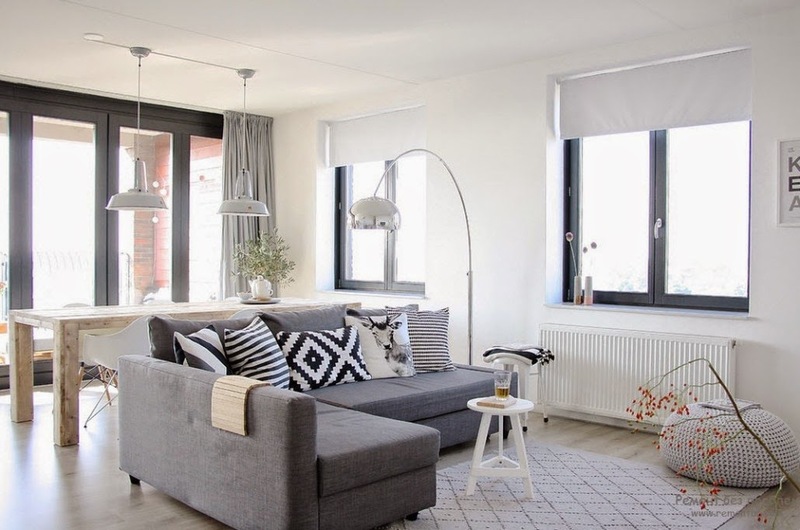 Living room should look spacious - only the combination of black and white will look perfect, and the presence of mirrors on the walls also increases the visual space of the room. 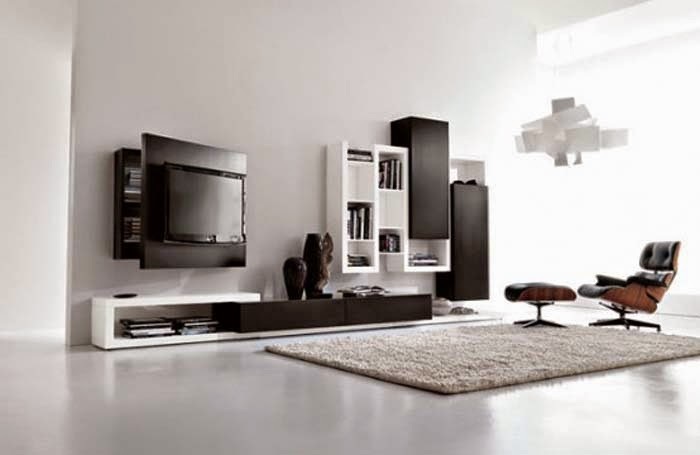 The main thing is that when you create the black and white living room designs you should feel comfort and peace.